In the three years that passed, sales at independent bookstores (selling real physical books) grew about 8 percent a year for three years running while eBook sales have leveled off at about 33% off the market (outsold by both hard covers and paperbacks). In addition to the reasons I gave three years ago, here’s another reason eBooks have leveled off in their appeal. While they have some great things going for them (it’s easier to carry 150 books in digital format, for example), EBooks have turned out to be not as cheap as promised. First you aren’t going to buy a best seller for 99 cents. Second, the cost of the machine (and its upgrades) has to be factored into the cost. If you only read a handful of books a year, real books (especially used books) are far cheaper. 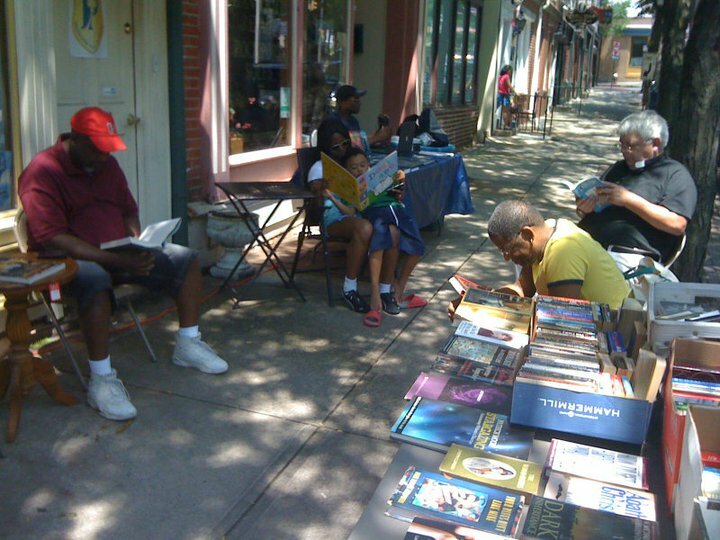 If you read lots of books, you are more likely to fall into the categories of people who love physical books, like to browse books and like to belong to a community of readers—all people who love their real books. This entry was posted on Tuesday, October 21st, 2014 at 3:34 am	and tagged with bookstores, classics, ebooks, new jersey, real books, trenton and posted in Industry News. You can follow any responses to this entry through the RSS 2.0 feed.